Why are curiosity and inquisitiveness important? The confidence to question is one of the greatest gifts we can give our children. The ability to answer questions comes further down the list – it’s that sense of wonder that is such an important building block. This skill isn’t only important for scientists, either – it’s vital for navigating the wide world. Knowing how to question, for example, if a news story can be trusted, whether a politician’s promise can be believed, how to find out how something works, and so on, is crucial for us all. We’re all born with an innate curiosity. First words soon form first questions: “Why shoes? Why breakfast? Why moon?” Let’s be honest, this isn’t always adorable – but reframing the ‘why’ phase as ‘a wonderful first glimpse into an enquiring young mind,’ might help us appreciate it more! Who knows what great questions our children may ask throughout their lives – and what incredible answers they might be driven to find. So how can we encourage this curiosity and help to shape the next generation of inventors, engineers, medics, educators, change makers and more? Children are little sponges, so sharing your own enquiring mind with your curious children can encourage their own questions. Answers aren’t the aim of this game: it’s the confidence to speak out when something has got you wondering. Helping your child to understand that you don’t have to know or understand everything, but instead that the process of learning itself can be exciting and rewarding. Add the word “yet” onto the end of frustrated cries of “I don’t know how,” “I don’t understand” and “I can’t do it” to turn defeat into the start of a voyage of curiosity. Getting things wrong can be annoying and hard for any of us to handle, but mistakes can also be funny, informative and surprising. Did you know that Play-doh, Saccharin sweetener and the microwave were all the result of accidental discoveries? Help your child to understand why something hasn’t worked as expected, get excited about any surprising results, then work out how you can vary the process to get a different outcome next time! 4. 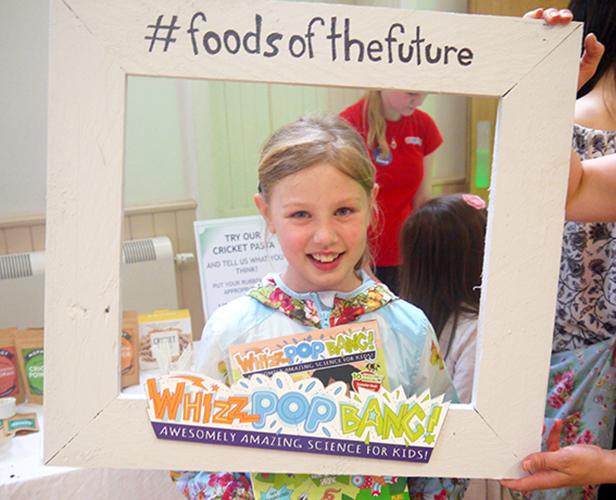 Add a little Whizz Pop Bang! 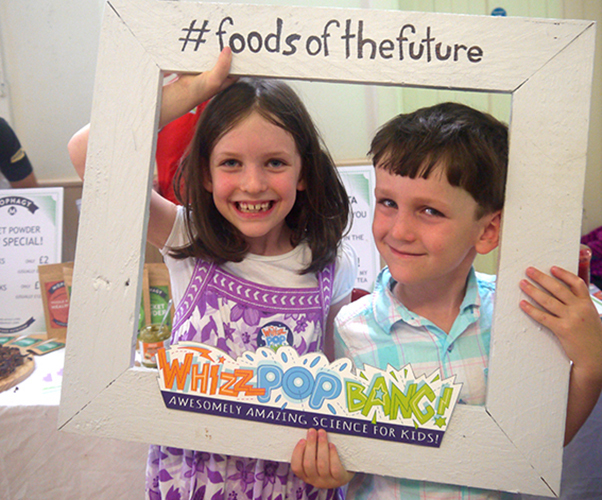 Posted in Whizz Pop Bang | Tagged ask questions, Be curious, growth mindset, how to nurture curiosity in kids, kids science magazine, make mistakes, nurturing curiosity, professor Stephen Hawking, science comic, science for kids, science magazine for kids, Whizz Pop Bang, why is why a good question to ask? What’s the difference between an inventor and a superhero? And can you ever be both? 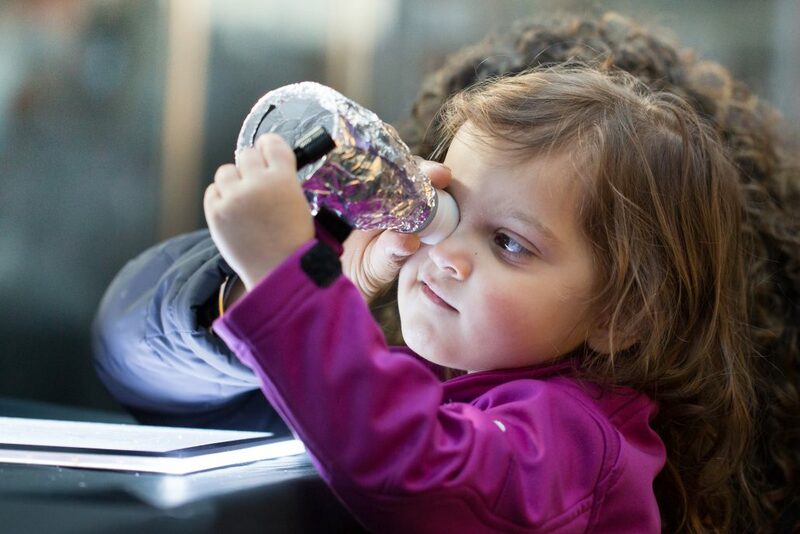 This May half term at the Museum of Science and Industry meet the innovators behind some of the most amazing inventions of all time and ask what powers they used that made their breakthroughs possible. Experience explosions, electricity and steam then play our special trading card game to find out which inventor was the most super of them all! 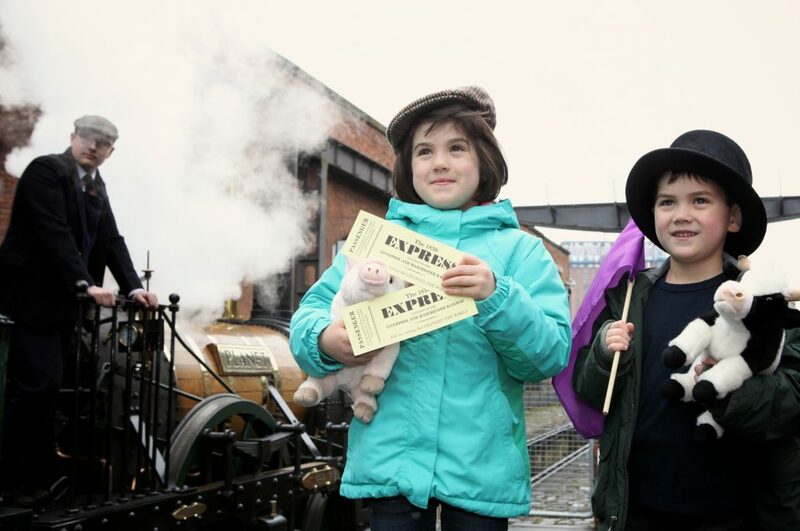 Set on the site of the world’s first passenger railway station, all of Manchester’s magnificent firsts are celebrated here at the museum – and why not top it off with a ride on our powerful steam train, the 1830 Express? The Super Power Show: POW! KABLAM! Join us for exploding experiments and electrifying demonstrations as we find out all about power. Discover some super inventors and the powers they used to move their machines and contraptions. Plus start your collection of Superhero trading cards. Pop Bottle Microscopes: What’s stronger than the Hulk and nearly as see through as the invisible man? Graphene! So grab some tape and investigate graphite by building your own pop-bottle microscope in this hands on workshop. Creative Coding: What do you get if you add 1 + 0? You get computers, laptops, smart phones and even robots. Discover how to code and spell your own name in binary and turn it into a necklace or wristband in this hands on workshop. Its sure to be 01100110 01110101 01101110. Engine Demonstration: How can the stuff that comes out of your kettle power a whole factory or even a city? This interactive engine demonstration will show you how steam can power an engine the size of an elephant and how it still powers our homes today. Manchester Mills: Why did Manchester get the nickname “Cottonopolis”? Join us for a live demonstration of our textiles machinery as we turn plants into clothes. Plus discover the difficult jobs which went along with working with such powerful machines. The 1830 Express: Hop on the 1830 Express and step back to a time to when cotton was king and railways were about to change the world forever. How to make fake snow with a disposable nappy! Posted on 25th January 2017 | by Rachael Tapping | Leave a Comment on How to make fake snow with a disposable nappy! All you need to make your own fake snow at home are some cheap disposable nappies! Tear open the nappies over a large mixing bowl and shake out the small amount of white powder, so that it falls into your bowl. Remove any fluffy bits of nappy padding, then pour in some water, a little at a time, while stirring. You’ll be amazed at how much water the powder can absorb. 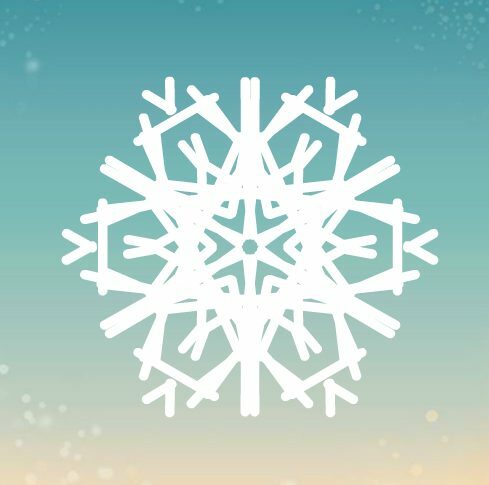 Watch the spectacular transformation into slushy fake snow! The white powder is sodium polyacrylate, a polymer (a long chain-like molecule) which can absorb 300 times its own weight in water (which is why it’s used in nappies!). 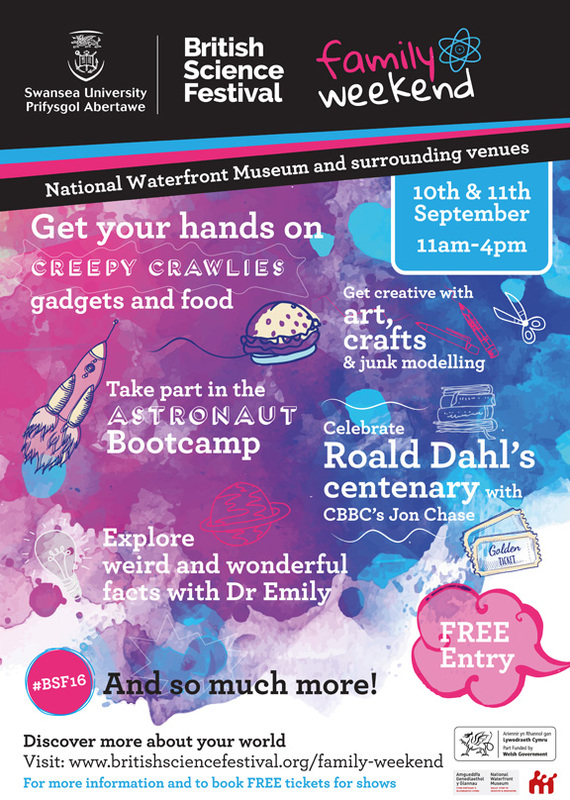 Saturday 10th and Sunday 11th September, at the National Waterfront Museum, Swansea. 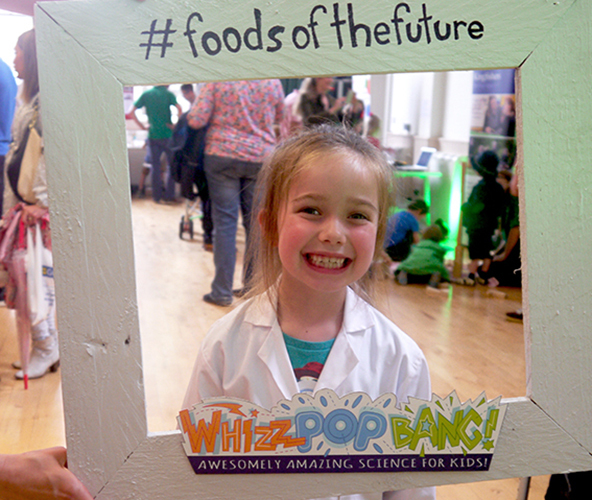 Now this sounds like loads of fun; 2 days of Roald Dahl-themed hands-on science fun for all the family, what could be better?! 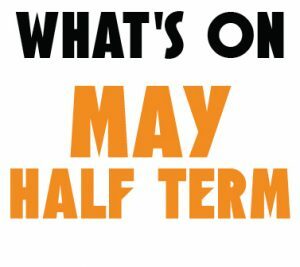 Events include an Astronaut Bootcamp, 3D Space Show, Marine explorers, Splendiferous Science Show, Sealife Safari and LOADS more! They’ve even got a whizzpopping Roald Dahl science show with CBBC’s science communicator Jon Chase, pretty awesome huh? 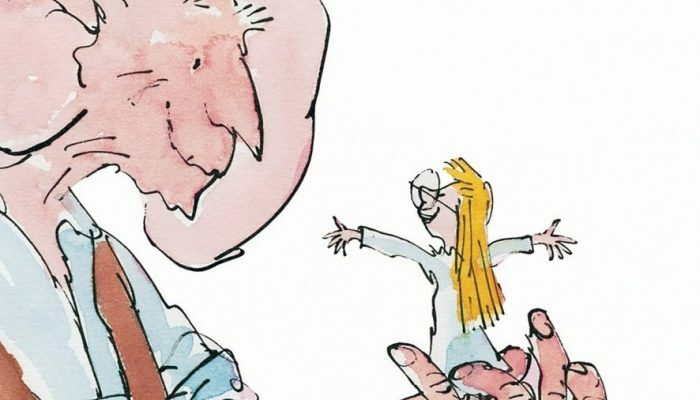 “We’re celebrating Roald Dahl’s centenary with a scientific take on his books. CBBC’s Jon Chase reveals the Splendiferous Science in Dahl’s tales and we’ve left a trail of golden tickets for you to follow and claim a prize… keep your gogglers peeled for everything from frightswiping Gremlins to scrumdiddlyumptious chocolate! We’ve also teamed up with the Marina Market to talk about food. 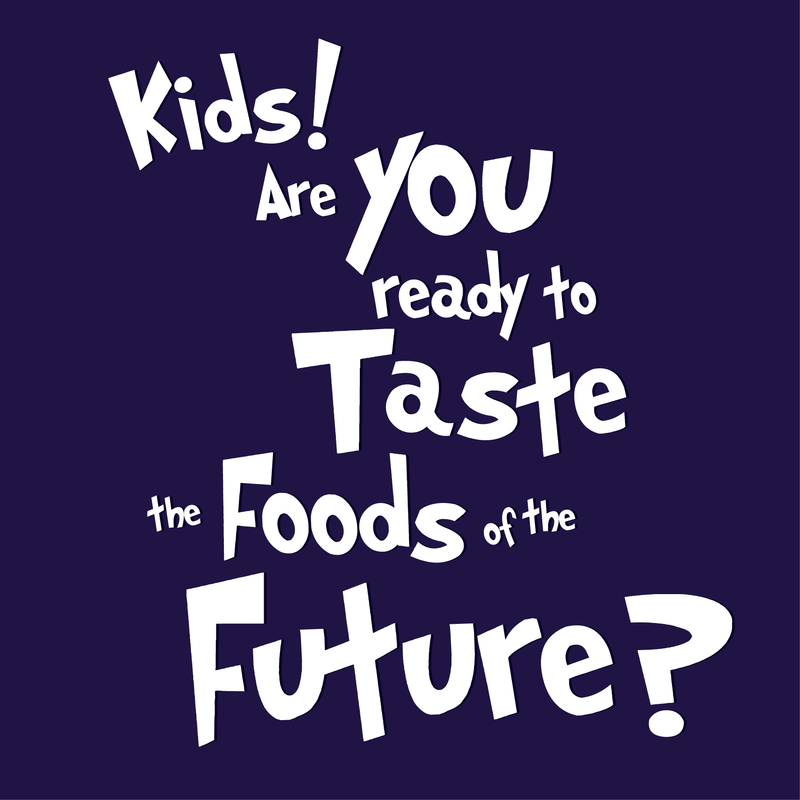 You can take a taste test, learn how to keep yourself healthy, and explore the chemistry in your kitchen. There are even some insects for you to eat… if you’re brave enough! 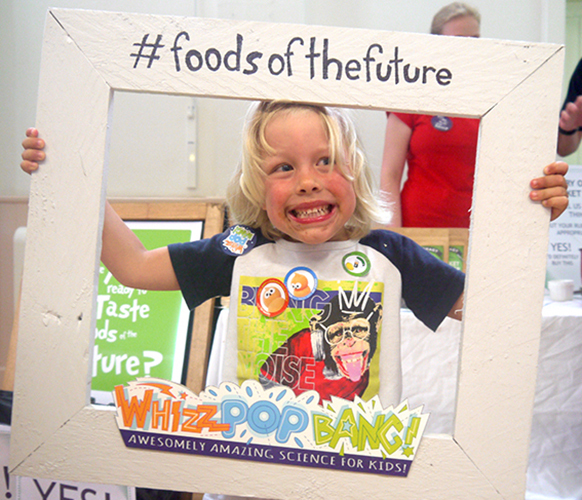 Whizz Pop Bang introduced eating insects (entomophagy) to the Cheltenham Science Festival; inviting kids and their families to try ‘foods of the future’. These are just some of the kids who tried pasta and flapjacks made with crickets, we think the smiles say it all! 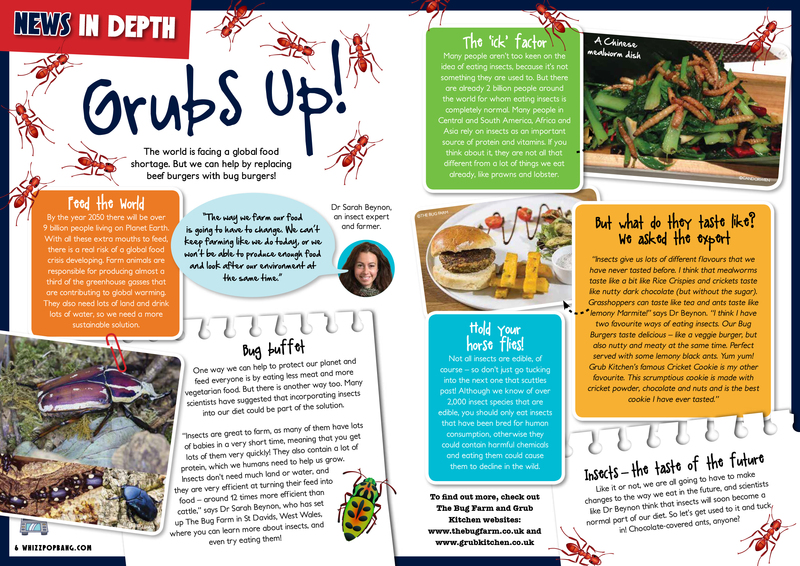 In issue 7 of Whizz Pop Bang we introduced our readers to the concept of eating grubs as a sustainable source of protein. Now as a forward-thinking kids science magazine we’re all about looking into the future 🙂 So we got in touch with a company in Thailand, called Bugsolutely, who make pasta using 20% cricket flour mixed with 80% wheat flour, and asked them if they’d send us some boxes to try. Three weeks later a large box arrived full of pasta ready for our trials. 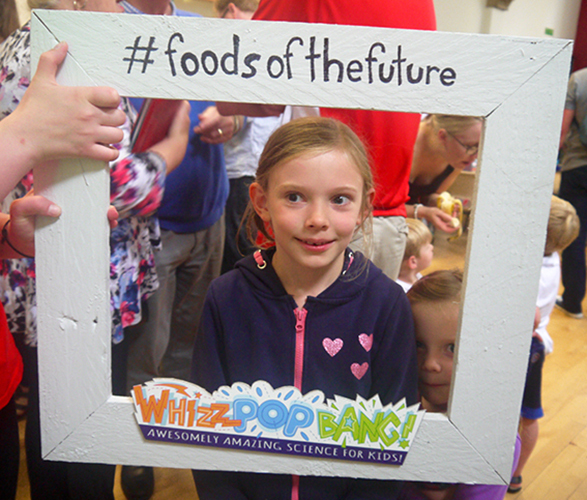 We sent out a newsletter inviting Whizz Pop Bang subscribers to take part, and within minutes we were inundated with families wanting to taste cricket pasta! 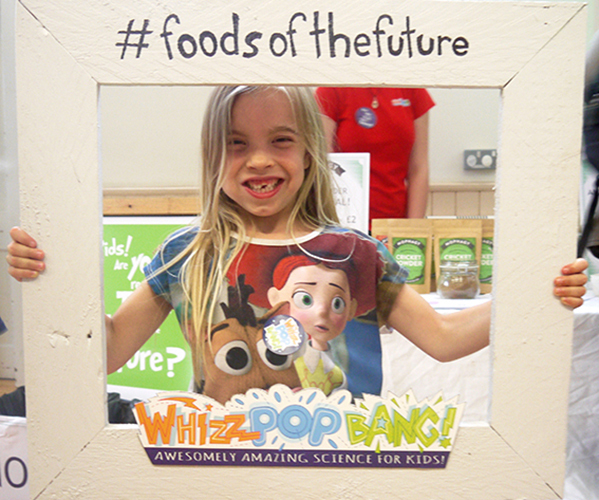 So we set up individual trials, and took the pasta to Cheltenham Science Festival to find out firsthand what the kids thought. 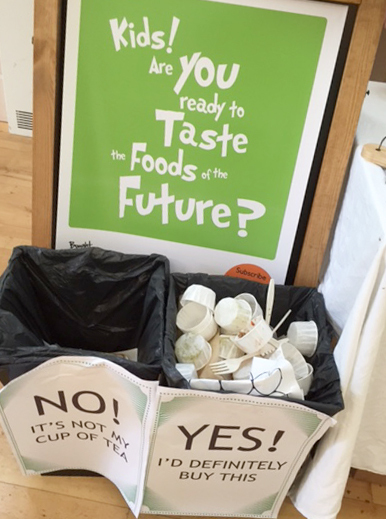 In the style of Innocence smoothies, we asked people to vote with their rubbish. So we had a ‘YES! I’d definitely buy this’ bin, and a ‘NO! It’s not my cup of tea’ bin. The results speak for themselves, it’s a resounding YES please to buying foods made with insects in the UK! 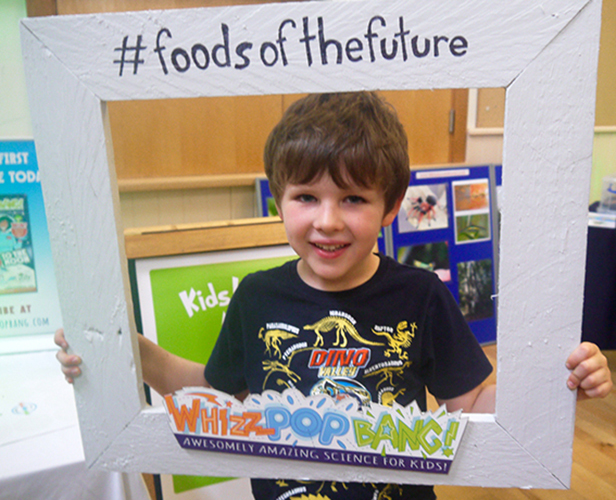 Feed the World – By the year 2050 there will be over 9 billion people living on Planet Earth. With all these extra mouths to feed, there is a real risk of a global food crisis developing. Farm animals are responsible for producing almost a third of the greenhouse gasses that are contributing to global warming. They also need lots of land and drink lots of water, so we need a more sustainable solution. “The way we farm our food is going to have to change. We can’t keep farming like we do today, or we won’t be able to produce enough food and look after our environment at the same time.” Dr Sarah Beynon, an insect expert and farmer. 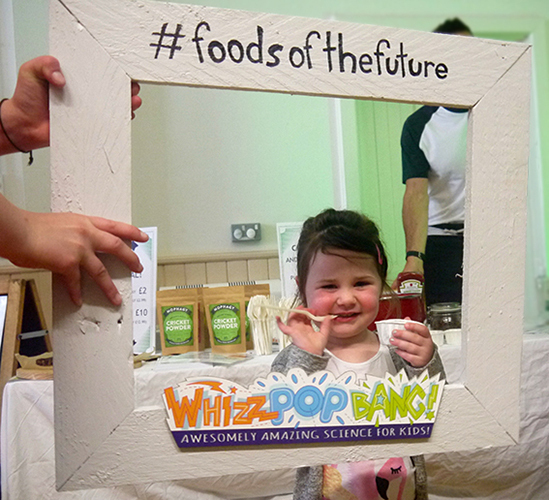 Insects – the taste of the future Like it or not, we are all going to have to make changes to the way we eat in the future, and scientists like Dr Beynon think that insects will soon become a normal part of our diet.